The Portwest S555 high performance jacket offers maximum waterproof, windproof and breathable protection for year round performance. Using a highly durable outer fabric, with an air permeable mesh lining, this jacket ensures total comfort in foul conditions. High specification features, such as water resistant zippers, ergonomic cut, engineered storm hood and multiple pockets provide superb function. 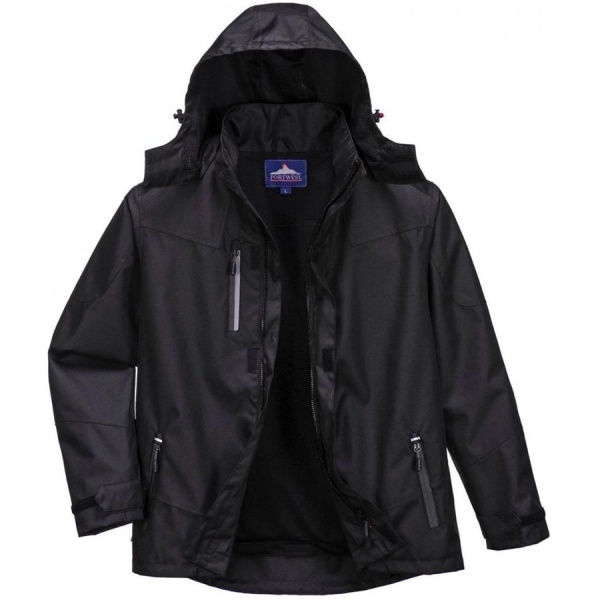 A sporty fit and low profile design ensure this is the jacket of choice for demanding conditions.